Now I would like to present to you: Ben’s Easy Modding (BEM) for Windows. It’s a program that I have created to help almost everyone make mods for ATS & ETS2. It’s totally free and you can use it whether you know very little about making mods or are a modder yourself. - Convert image files to and from dds. accelerate making these mods. Now I would like to present to you: Ben’s Easy Modding (BEM) for Windows. 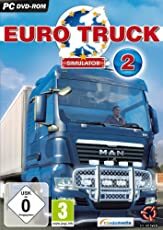 It’s a program that I have created to help almost everyone make mods for ATS & ETS2. It’s totally free and you can use it whether you know very little about making mods or are a modder yourself. I would recommend watching the video tutorials on BEM’s website before using BEM to get you started quickly. I would like to add to BEM but I am open to suggestions. I hope that you will enjoy using it! I will keep this thread updated with the latest news. - The source files will now be retrieved from BEM's web site. Update v1.0.1.4 had problems with packing mods. The problem has been corrected in v1.0.1.5.